David Clinton Grunke, died peacefully in his sleep while at home on April 3, 2018 in rural Scribner, NE. He was 62. 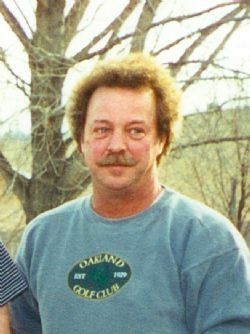 David Clinton Grunke was born on July 6, 1955 in West Point, NE. He was the fourth child of six children of Clinton and Ardene (Grosc) Grunke. He was raised and lived on the Family Farm. David attended and graduated from Scribner High School in 1973. He attended Midland Lutheran College and graduated with a Bachelor of Science in Education in 1978. Following graduation, he worked for Sanger Manufacturing as well as he worked on the Family Farm. In 1994, David took over the daily operations of the Family Farm. David loved farming, as he was constantly listening to the Daily Ag. Reports, being in tune to what the farmers were going through. David also enjoyed sports, particularly Golf, the Baltimore Orioles Baseball and Nebraska Football. David was preceded in death by his parents, brother Richard and sister-in-law Sharon. The funeral service will be 2pm Friday, April 6 at Ludvigsen’s Scribner Funeral Chapel. Burial will follow in the St. John’s Cemetery, Cuming County Line. Everyone is invited to Mel’s in Scribner, following the burial for a celebration of David’s life.